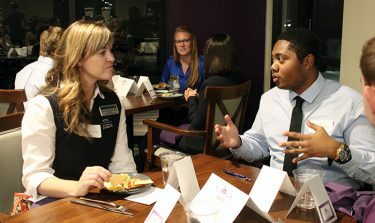 At the Dinner with Grads on Tuesday night, Honors STEMists had the opportunity to connect with a multitude of Grand Canyon University alumni and representatives from medical schools across Arizona. "Making connections, gaining information, networking – that’s going to be valuable when they go to apply for medical school," said Emily Ghena, Honors College liaison intern. "These students are exactly the kind of students graduate schools want to have so I think it’s a win for both sides." 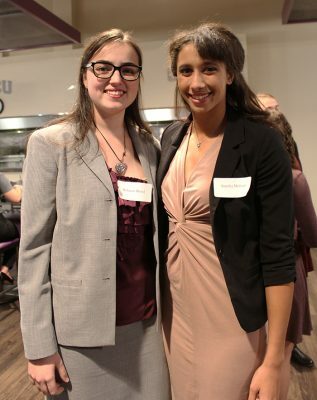 Some of the top-performing Honors STEMists at Grand Canyon University had the opportunity to connect with various representatives and graduate students from medical schools across Arizona Tuesday night. 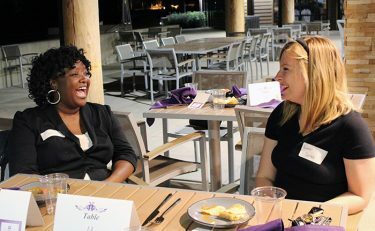 That was the word Aysha Bell, program manager at Grand Canyon University’s Honors College used to describe the interaction among the 40 Honors STEMists, admissions representatives, faculty and graduate students from various graduate and professional schools who attended Dinner with Grads Tuesday night at GCU Golf Course. The event, now in its third year, was geared toward Honors College sophomores and juniors with a 3.8 GPA or higher in a pre-health program. The goal was to provide the top-performing students with an authentic sense of what to consider before applying to medical school by connecting them with a multitude of GCU alumni and medical schools across Arizona. Students took advantage by asking questions, gaining new information and sharing future goals. 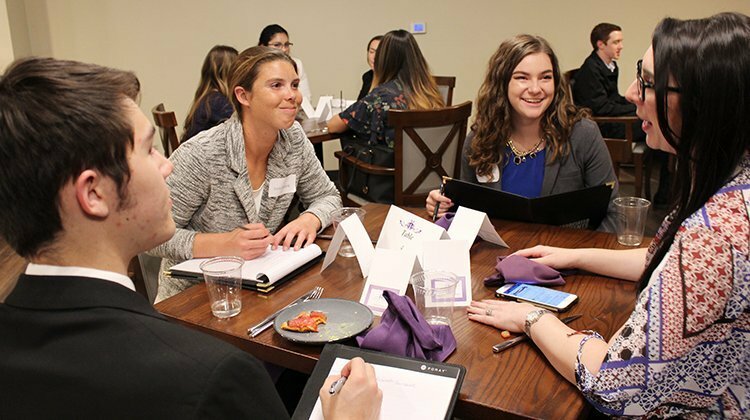 Megan Flores, GCU class of 2016 and former Honors College Club president, was among the guests from Midwestern University, a health sciences graduate and professional school in Glendale. Since she graduated, Flores has also contributed toward research projects at Maricopa Medical Center. During the event, Flores shared a few words of encouragement. Students wore their professional best. Throughout the two-hour event, professionally dressed students mingled with their former peers and potential graduate schools. They also spoke freely about their future prospects. Mohsen said she spends a lot of her time volunteering at St. Joseph’s Hospital and Medical Center where she checks in patients, helps them get discharged and answers questions. “I love seeing patients after their procedures and walking them to their cars. I love seeing how excited they get. I love going to the newborn section and witnessing mothers with their newborn babies. It’s the little moments that bring me joy,” said Mohsen. Sophomore Holly Hobgood asked about internship opportunities at Midwestern University, volunteering, getting into a residency and the application processes. Aysha Bell (left) Honors College program manager, also enjoyed learning more about the STEMists. Honors College liaison intern Emily Ghena, who started the event as sophomore three years ago, said she ultimately hoped students gained acceptance into their ideal program and also their ideal school.